Snap view was one of the Xbox One's original selling points, but Microsoft has other priorities. With the Xbox One Creators Update, Microsoft’s console has lost another one of its original features. This time, it’s Snap view, which let users run two apps side by side. Microsoft says it killed Snap to improve the Xbox One’s performance and free up resources for future features. Most users should appreciate that trade-off, as the Creators Update makes the console feel much faster. But Snap’s removal could also cause some anguish for a subset of Xbox One users—especially those who bought into Microsoft’s original vision for the console. Snap, when it debuted with the Xbox One’s launch in 2013, was one of several ways in which the console resembled Windows 8. Both platforms used the same “Metro-style” interface full of app tiles, both employed horizontal navigation between menus, and both offered a Snap feature that could run a secondary app along the edge of the screen. But while Microsoft kept iterating on Snap for Windows, the Xbox One version has stagnated. Windows 8.1, for instance, allowed Snapped windows to run in any horizontal size, and even allowed Snapping up to four apps. Windows 10 added Snap support for any Windows program—not just Windows Store apps—and allowed Snapping an app to each quadrant of the screen. In that timespan, Snap for Xbox One has only received modest updates to audio performance and ease of use. Snap for Windows has steadily become more powerful with new features like quadrant view. The Xbox version, not so much. The Snap experience also didn’t seem like much of priority for app makers. ESPN didn’t support Snap view for live games, Netflix stopped supporting Snap entirely in 2015, and Hulu followed Netflix’s lead in 2016. So when Microsoft announced in January that it was removing Snap from the Xbox One, the news wasn’t entirely a shock. The company had already abandoned horizontal navigation with its last major update, along with the cluster of app tiles that resembled Windows 8. The Xbox One’s TV app, for example, let users watch live TV from a cable box or over-the-air antenna in Snap mode while playing a game. The NFL app let users keep an eye on game scores or Fantasy Football results while watching TV or playing games in the main window. 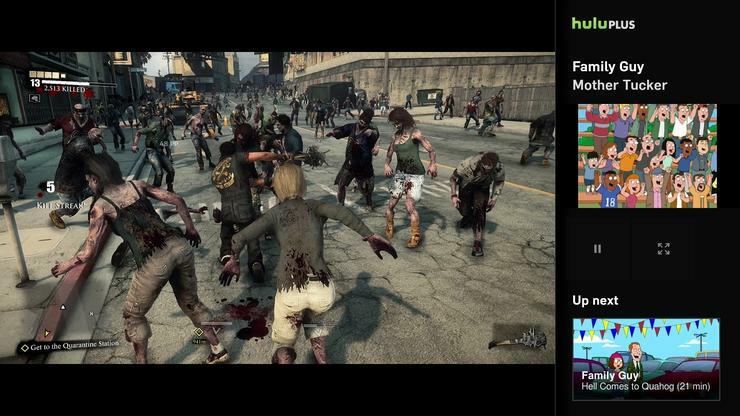 Twitch’s Xbox One app used the sidebar to show live chat while the user was broadcasting. 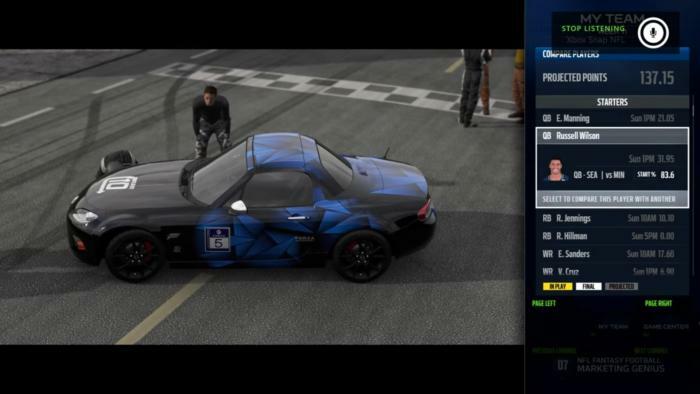 The Achievements app let users track their in-game feats alongside whatever they were playing. Users could Snap a video Skype call and chat with a buddy while playing a game or watching TV. Tracking Fantasy Football scores while playing games was one of Snap’s best uses. So far, the only use case that’s been compensated for in the Creators Update is achievements. 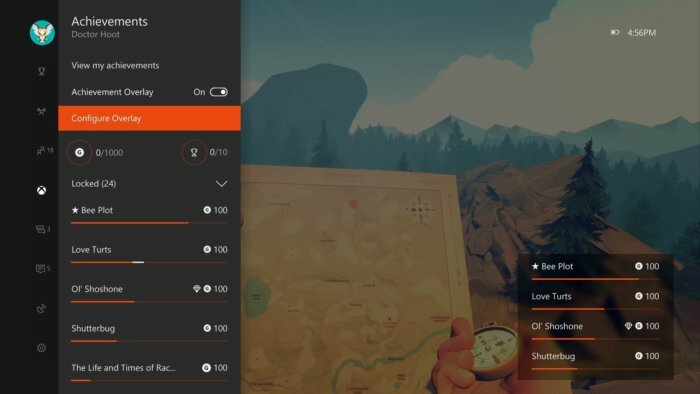 Users can now activate an “Achievement tracker” from the Xbox’s guide view, creating a small overlay window that can hover along any edge of the screen. The tracker also has adjustable transparency to avoid hindering gameplay. It’s uncertain, however, whether similar overlays will be available for other apps. Microsoft’s Mike Ybarra says the company has no plans for a picture-in-picture mode for the TV app, even though Windows 10 will support something similar. And so far, there’s no indication that other apps will be able to create transparent overlays like the one Microsoft offers for achievements. In lieu of Snap view, the Xbox One now offers an achievement overlay. 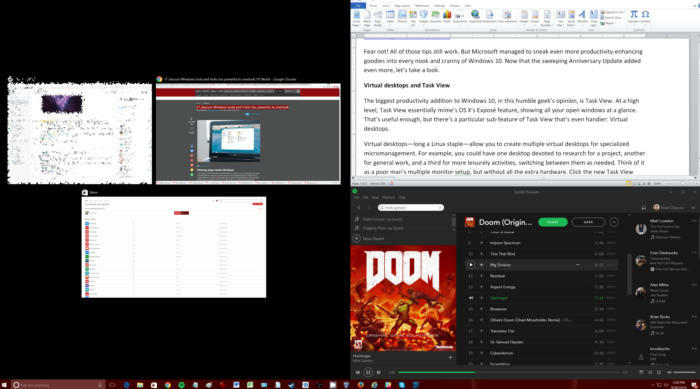 Perhaps Microsoft will find a way to reintroduce multitasking in the future, but for now it makes sense to shore up the Xbox One's core gaming features. Snap was a clever idea in theory, but it was never well-executed, and the fact that the Xbox One feels much faster after the Creators Update lends credence to Microsoft's claim that the feature was a drag on resources. With the removal of Snap view, the elimination of Kinect as a mandatory feature, and the lack of marketing around HDMI passthrough for cable boxes, Microsoft has clearly prioritized gaming over secondary features that never really lived up to their potential. While that might irk some longtime users, it's probably best for the long-term health of the system.